The strategic ties between China and Russia are mutually beneficial and based on trust and a tradition of supporting one another, said Chinese Foreign Minister Wang Yi, emphasizing that the cooperation is mature and not targeted at third parties. 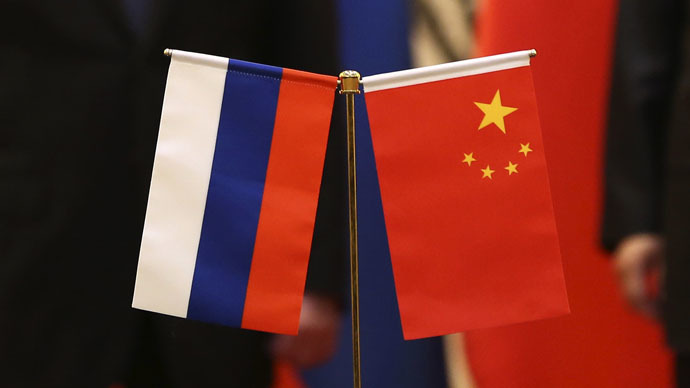 Describing China-Russia bilateral relations as stable and mature, the Chinese Foreign Minister has stated that Western political and economic pressure on Moscow will not affect mutual cooperation. 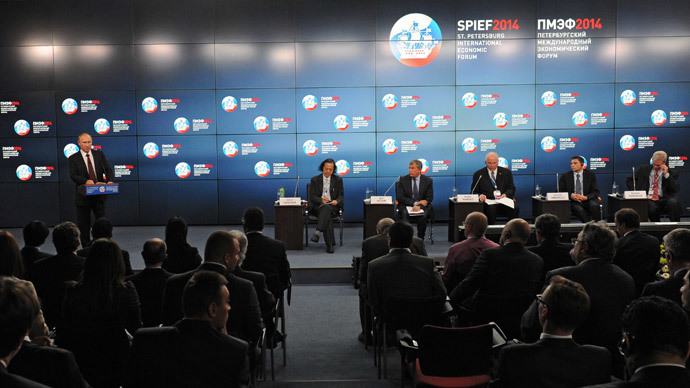 “The China-Russia relationship is not dictated by international vicissitudes and does not target any third party,” Wang Yi said at a press conference Sunday, in response to a question from Russia’s Sputnik news agency. The Chinese minister also stressed the historic importance of trust that has developed between the two nations, and the need for both states to coordinate efforts to insure international stability – particularly through the UN Security Council, where they earlier used their veto powers to block questionable Western initiatives. China plans to step up its trading volume with Russia, which Wang Yi said may reach $100 billion in 2015, compared to US$95.3 billion last year. “We will do our best so that the bilateral trade reaches our goal of $100 billion, we will sign an agreement on cooperation in the area of the Silk Route’s Economic Belt,” he added. He also noted that Beijing is ready to cooperate with Russia on all fronts, such as the high speed railways construction, aviation, energy, as well as financial sectors. 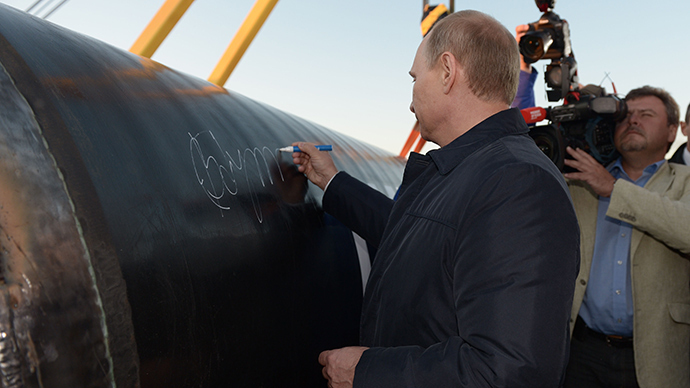 “We will develop and deepen our cooperation in the financial and banking areas, in the area of nuclear energy, oilfields,” Yi said, noting that this year the construction of the “eastern” gas supplies route to China will intensify, while the states are finalizing the details of the “western” route. 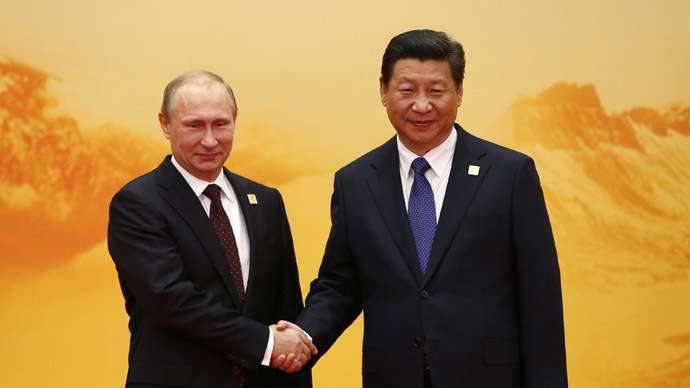 Chinese President Xi Jinping and his Russian counterpart Vladimir Putin met five times last year and have a close personal relationship. 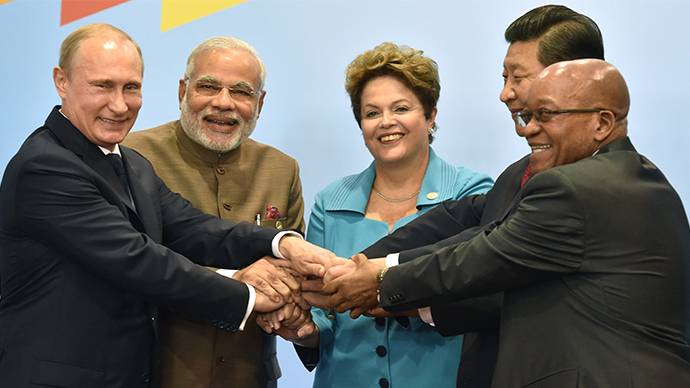 Additionally, Russia and China were instrumental last year in establishing $100 billion BRICS bank that is to serve as a pool of money for infrastructure projects in Russia, Brazil, India, China and South Africa, and will challenge the dominance of the Western-led World Bank and the IMF. 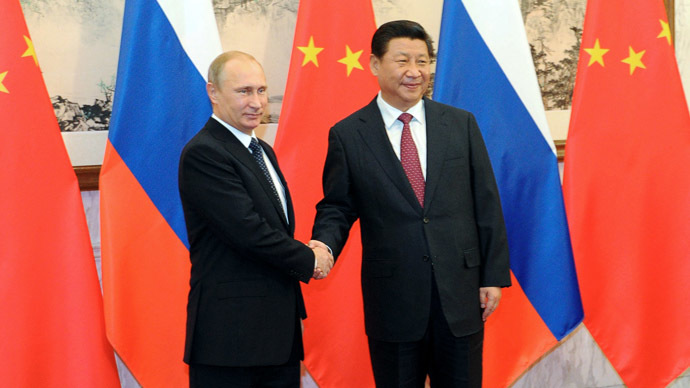 Moscow and Beijing have been boosting cooperation in various fields, including the energy and financial sectors. Most recently, the two countries decided to create a joint rating agency that’ll counter balance the existing Western ‘Big Three’ of S&P, Moody’s and Fitch. Meanwhile the decision to switch to local currencies in trading settlements has become a major move towards reducing dependence on the US dollar and creates an alternative within the global financial system.